I’m still on a high from finally announcing my new book deal, but it’s also been a pretty good week ’round these parts. So here it goes! I treated myself BIG TIME this week when I ordered a new laptop. But my 6 year old Macbook Air was slowly dying (it held about a 6 minute charge by the time my new laptop arrived) and also … y’all I’m getting old, and I needed a bigger screen. It’s sad, but it’s true. So now I’m typing up this week’s What’s Making Me Happy This Week from my pretty space gray laptop with a very clicky clacky keyboard (which apparently some people don’t like, but what do they know?). And thanks to the arrival of my snazzy new computer, I got a burst of inspiration and am now 5 chapters into the outline for my shiny new book idea. This would be book 6 for me, and book 2 in my new contract with FSG. I’m not going to tell you anything about it other than it’s funny, I love it, and I already have a title for it (which is crazy!). Oh this book, you guys. It’s funny and sweet and the voice is just so damn authentic. I recognized Molly and her friends as real teenagers, and some of Molly’s struggles rang so true for teenage Lauren. 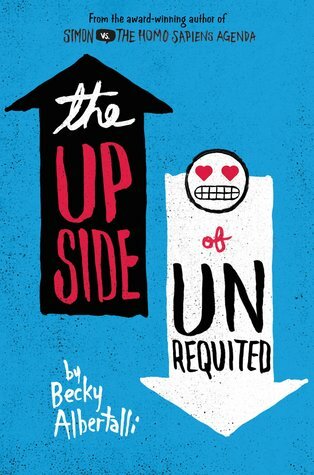 If you loved Becky’s first novel, Simon vs the Homo Sapiens Agenda (soon to be a major motion picture!) or any of Stephanie Perkins books, you will love this book. Treat yourself to a sweet weekend read, ok? So what’s making you happy this week! Share down in the comments? What’s Making Me Happy This Week? MY BOOK DEAL! What’s Making Me Happy This Week: ALL THE BOOKS!